PREGNANCY WEEK: 28. Third trimester! Home stretch–though 12 weeks seems like so far to go. WEIGHT GAIN: 17 pounds as of 26 weeks. At the rate it’s been going, I’m guessing 21-22 pounds gained at my 30-week appointment. 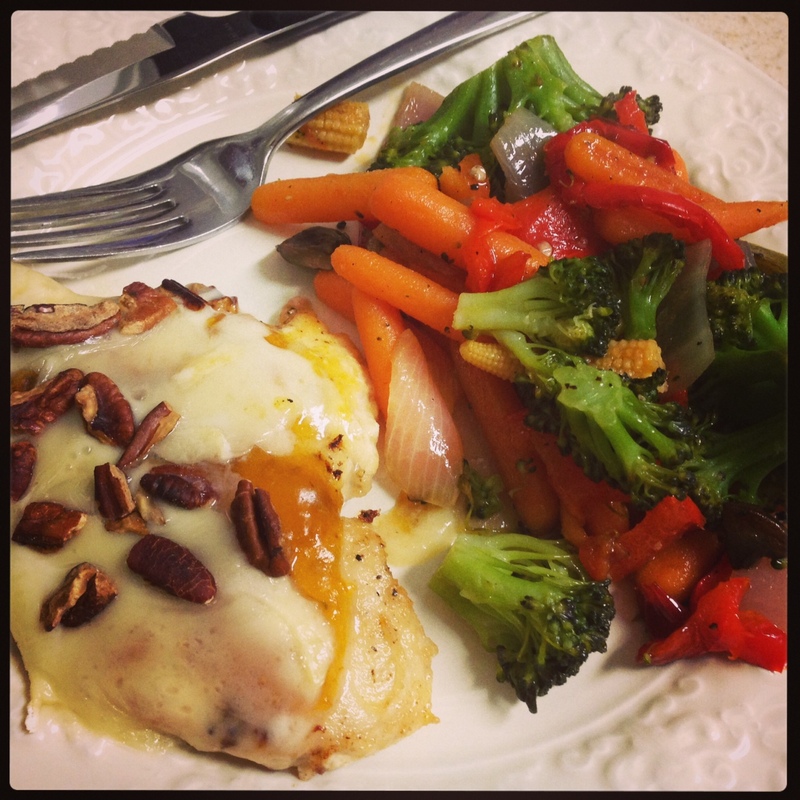 CRAVINGS: I’ve been on a brie kick this week, and baked some the other day to snack on then last night made an easy, delicious Brie and Apricot Chicken recipe from Peanut Butter Runner, but I just substituted gluten-free flour. MATERNITY CLOTHES: Well the weather has finally warmed, and just in time, too, because now that the bump has done a double pop, I’m ready for all those summer maternity clothes. I’m pretty sure my belly is now the same size as it was around 34 weeks with James Michael! Other moms warned me this would happen. WORKOUTS: I worked out more than my twice-a-week average, so I consider that a success. Monday afternoon, JM and I made the trek to the gym because it was rainy and it’s just more fun running around in a big gym than at home. The WOD was Grace, so after a quick warm-up and 5 sets of bench press working up to 95 lbs, I did a scaled Grace at 55 lbs. The weight wasn’t hard because it was so scaled, but I chose to go light because my belly felt odd–very tight, stretched and overall uncomfortable. And Thursday was my third time to the gym in one week. After 5×5 shoulder presses at 55 lbs, I did another tabata-style WOD but this time it was 20 seconds of work, 10 seconds of rest. I did five rounds of wallballs, box steps ups and ring rows (at a 45-degree angle). Friday was basically another real-world WOD of packing up and throwing out a ton of house stuff. I came up with 8 garbage bags full of junk to toss, which felt very liberating. And I packed numerous boxes and trash bags full of stuff to keep. I think I might have gotten 1/4 of our stuff packed, which sounds like so little. But some stuff we’ll have to wait and pack up the day before we move, so I’m trying to stay positive. SYMPTOMS: I had my one-hour glucose tolerance test this week, and despite passing it during my last pregnancy with flying colors, this time I failed with a level of 153 (passing is 140 or less). It surprised me, though at this point I should know better since I’ve dealt with things like sciatica and anemia this pregnancy that I didn’t encounter last time. The following day, I went ahead and knocked out the three-hour test so I didn’t have to dread it over the weekend, and as I feared, it was horrible. No, not the four separate occasions they had to draw blood from me, but chugging one drink with 100 grams of sugar is repulsive. 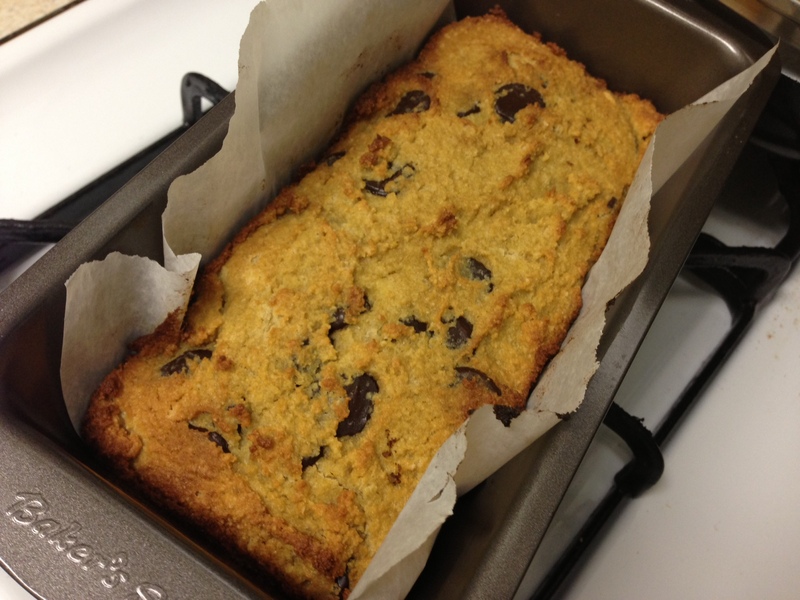 I love sweets and baked goods–always have. But downing that much sugar in less than 5 minutes was rough for the first hour of the test as I was sitting in the waiting room. I spent the time rubbing my temples from a crazy headache and taking deep breaths to try to stave off what I thought was inevitable vomiting. Luckily, they symptoms slowly subsided into the second hour so I wasn’t completely miserable. But for the rest of the day I did not feel good at all, as you can imagine. 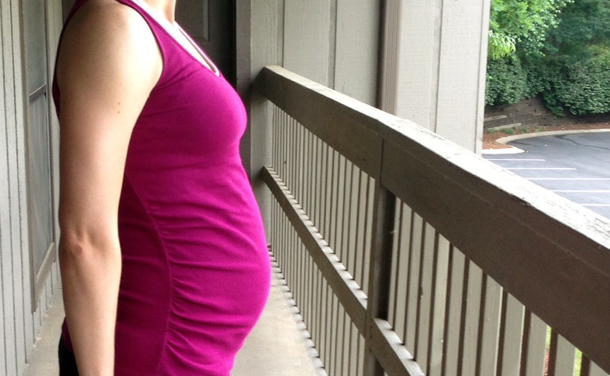 I called to get my test results the next day and I passed–no gestational diabetes for me. I didn’t inquire as to my levels at each blood draw or ask any questions. Honestly, I want to forget the whole experience and move on 🙂 If I fail the one-hour test during any later pregnancies, you can bet I’ll see if I can instead prick my finger for a week and submit my levels to the doctor. I would much prefer that nuisance to being subjected to 100 grams of sugar again. There has got to be a better way to go about this! Besides the whole glucose issue, I’m not sleeping well and haven’t been for a while. But this is just par for the course with pregnancy and I can’t complain too much because I’m still getting way more sleep than I will once little Beau arrives. There’s no point in my body getting too comfortable right now. I also confirmed with my midwife that the tightening sensations I’m feeling are braxton hicks, which are more common with subsequent pregnancies. She did agree that mine were lasting longer than most women’s, and that if they are connected with stress then I need to figure out a way to remedy that. Easier said than done. Between work, packing/moving and being a mom to a toddler, I don’t think there’s any hope of lessening my stress. I’m working out as much as I can fit it in, and baking and cooking as much as time will allow. Those are the only outlets I’ve got!